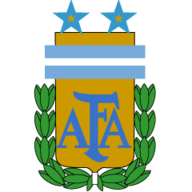 Match ends, France 0, Argentina 2. 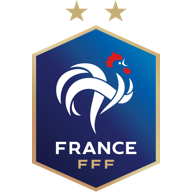 Second Half ends, France 0, Argentina 2. Foul by Lassana Diarra (France). Foul by Carlos Tevez (Argentina). Lassana Diarra (France) wins a free kick in his own half. Corner, Argentina. Conceded by Eric Abidal. Attempt blocked. Karim Benzema (France) right footed shot from the left side of the box is blocked. Assisted by Thierry Henry. Javier Mascherano (Argentina) wins a free kick in his own half. Foul by Yoann Gourcuff (France). Goal! France 0, Argentina 2. Lionel Messi (Argentina) left footed shot from the centre of the box to the bottom left corner. Assisted by Carlos Tevez following a fast break. Corner, France. Conceded by Emiliano Papa. Substitution, Argentina. Carlos Tevez forward replaces Sergio Aguero. Substitution, Argentina. Marcos Angeleri defender replaces Maximiliano Rodriguez. Emiliano Papa (Argentina) wins a free kick in the attacking half. Foul by Jeremy Toulalan (France). Sergio Aguero (Argentina) wins a free kick in his own half. Corner, Argentina. Conceded by Bacary Sagna. Maximiliano Rodriguez (Argentina) wins a free kick on the right wing. Foul by Eric Abidal (France). Attempt missed. Maximiliano Rodriguez (Argentina) right footed shot from outside the box is too high following a set piece situation. Lionel Messi (Argentina) wins a free kick on the right wing. Substitution, France. Karim Benzema forward replaces Nicolas Anelka. Foul by Sergio Aguero (Argentina). Attempt missed. Yoann Gourcuff (France) left footed shot from outside the box is too high. Attempt missed. Yoann Gourcuff (France) right footed shot from a difficult angle and long range on the left is close, but misses the top right corner from a direct free kick. Foul by Javier Zanetti (Argentina). Franck Ribery (France) wins a free kick on the left wing. Emiliano Papa (Argentina) wins a free kick in his own half. Foul by Thierry Henry (France). Maximiliano Rodriguez (Argentina) is shown the yellow card for a bad foul. Foul by Maximiliano Rodriguez (Argentina). Sergio Aguero (Argentina) wins a free kick in the attacking half. Dangerous play by Lionel Messi (Argentina). Jeremy Toulalan (France) wins a free kick on the left wing. Foul by Fernando Gago (Argentina). Jeremy Toulalan (France) wins a free kick in the attacking half. Offside, Argentina. Emiliano Papa tries a through ball, but Sergio Aguero is caught offside. Fernando Gago (Argentina) wins a free kick on the left wing. Attempt missed. Philippe Mexes (France) header from the centre of the box is high and wide to the right. Assisted by Franck Ribery with a cross following a corner. Corner, France. Conceded by Maximiliano Rodriguez. Fernando Gago (Argentina) wins a free kick in the attacking half. Foul by Nicolas Anelka (France). Second Half begins France 0, Argentina 1. First Half ends, France 0, Argentina 1. Attempt saved. Javier Zanetti (Argentina) right footed shot from the right side of the box is saved in the bottom right corner. Assisted by Maximiliano Rodriguez. Attempt missed. Thierry Henry (France) right footed shot from outside the box is high and wide to the right. Assisted by Yoann Gourcuff. Goal! France 0, Argentina 1. Jonas Gutierrez (Argentina) right footed shot from the left side of the box to the bottom left corner. Assisted by Sergio Aguero with a cross. Attempt saved. Jonas Gutierrez (Argentina) left footed shot from the centre of the box is saved in the centre of the goal. Assisted by Emiliano Papa. Corner, Argentina. Conceded by Philippe Mexes. William Gallas (France) is shown the yellow card for a bad foul. Lionel Messi (Argentina) wins a free kick on the left wing. Foul by William Gallas (France). Attempt missed. Javier Mascherano (Argentina) right footed shot from outside the box misses to the right. Assisted by Emiliano Papa. Bacary Sagna (France) wins a free kick on the right wing. Foul by Emiliano Papa (Argentina). Jeremy Toulalan (France) wins a free kick on the right wing. Attempt saved. Franck Ribery (France) left footed shot from outside the box is saved in the bottom right corner. Assisted by Yoann Gourcuff. Maximiliano Rodriguez (Argentina) wins a free kick in the attacking half. Foul by Philippe Mexes (France). Sergio Aguero (Argentina) wins a free kick on the left wing. Attempt saved. Nicolas Anelka (France) right footed shot from outside the box is saved in the centre of the goal. Assisted by Thierry Henry. Attempt saved. Nicolas Anelka (France) left footed shot from the left side of the box is saved in the bottom left corner. Assisted by Yoann Gourcuff with a through ball. Jonas Gutierrez (Argentina) wins a free kick in his own half. Corner, France. Conceded by Fernando Gago. Attempt blocked. Yoann Gourcuff (France) right footed shot from outside the box is blocked. Assisted by Bacary Sagna. Offside, Argentina. Juan Pablo Carrizo tries a through ball, but Jonas Gutierrez is caught offside. Hand ball by Emiliano Papa (Argentina). Jeremy Toulalan (France) is shown the yellow card for a bad foul. Fernando Gago (Argentina) wins a free kick in his own half. Franck Ribery (France) wins a free kick in his own half. Corner, Argentina. Conceded by William Gallas. Attempt blocked. Lionel Messi (Argentina) left footed shot from the centre of the box is blocked. Assisted by Sergio Aguero.